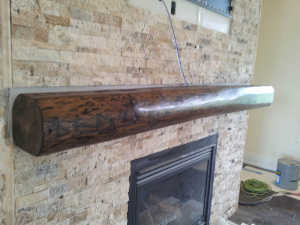 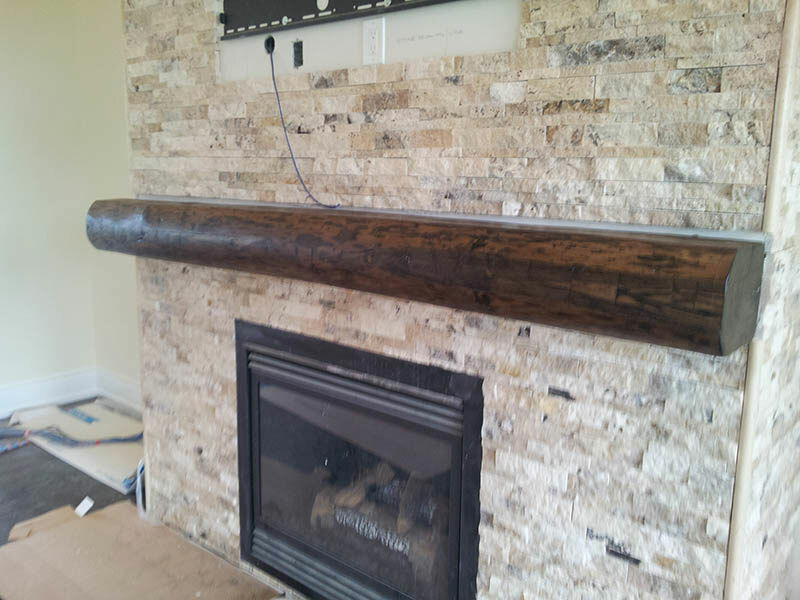 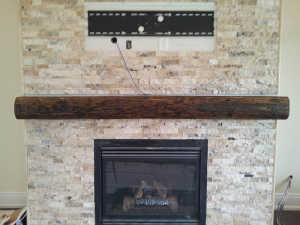 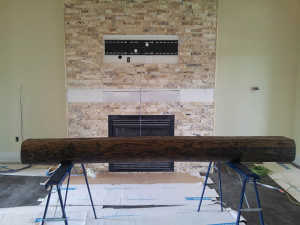 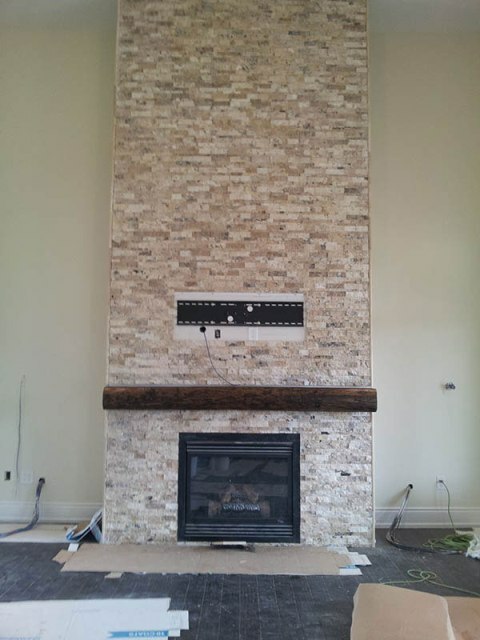 Just installed, this white oak mantel looks great! 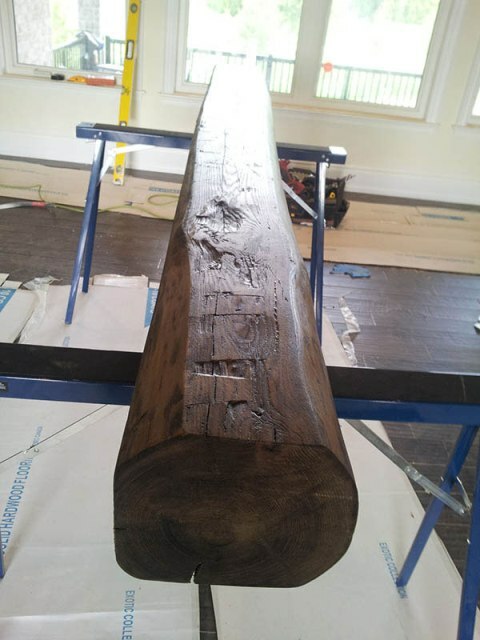 Custom stain matched to the floor…this 8 foot beam fits in quite nicely with the decor of this beautiful new custom built home in Caledon. The tile setter tiled the fireplace ahead of us installing the mantel, so he will return to add some stone to fill in above the mantel. 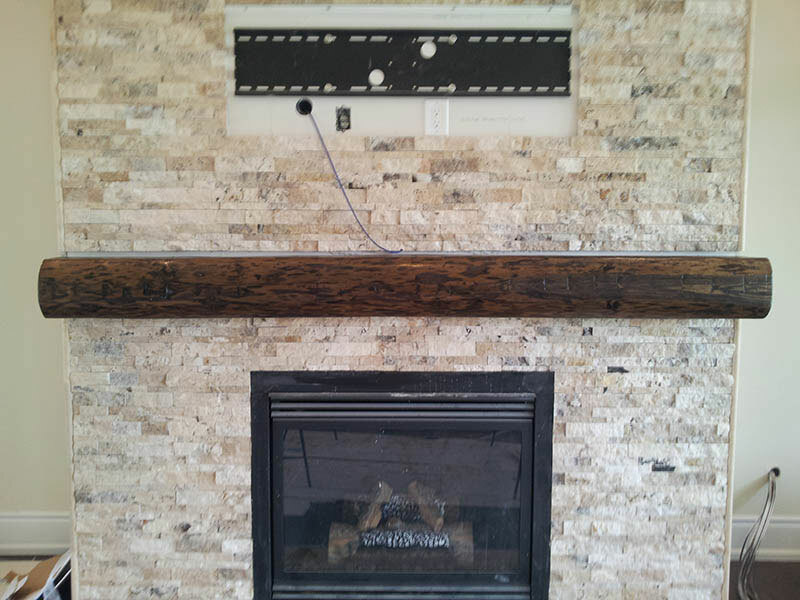 All in a day’s work for a busy tile setter!